It's not how far you fall, but how high you bounce. I have always liked coming-of-age stories and this one was one that I absolutely loved. 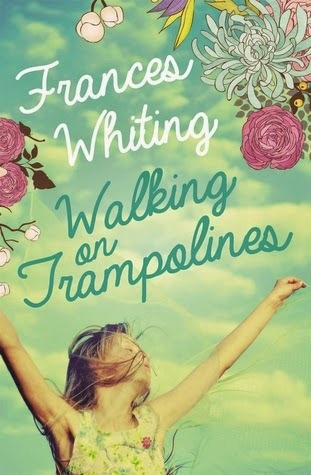 The way Walking on Trampolines was written was very heartfelt and the relationship rang true. This tale of two young girls, who became so dependent on each other that it became a powerful friendship, that is somewhat of a rarity. As with such friendships, the relationship becomes so interdependent that it takes one event to tear these great friends apart. Lulu and Annabelle are the two main characters and the story largely focuses on Lulu and her nostalgic journey through the past to present day. I really liked the way the author approached the story with the flashbacks culminating in the present. Every detail and character in Walking on Trampolines seemed to be well conceived and the intricate connections really brought this story together in a way that made me keep thinking about it long after I had finished. The story addresses many serious topics but in a very humane and caring way that made me feel like I had just had a long chat with a good friend. A long chat full of love and laughter.